Trust is built in your behaviour, not in your message. Without trust there can be no relationships of any value. A young boy wanted to buy his parents a thank you gift for taking him to Disneyland. 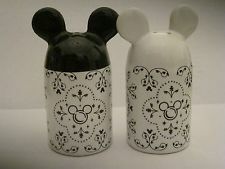 He spent the last of his pocket money on a salt and pepper pot with Mickey Mouse ears from the gift shop. As he ran back to give the gift to his parents he tripped and dropped the bag, shattering the ceramic pots. A passing Disney employee helped to pick them up and suggested he take them back to the shop. The boy was sceptical as he had been the one to drop them but, with a bit of urging, went back to the store. The response from the assistant at the till was unequivocal. He peered into the bag and said, “Gee, I’m so sorry. I didn’t wrap them well enough” and promptly replaced them. The boy, Randy Pausch, his sister and their parents reckon that as a result of that small action they spent over $100,000 dollars with the Disney brand over the years. Furthermore, Randy went on to become a scientist and professor who gave lectures all over the world and told that story over and over to thousands of people. The trust that comes from this type of action is earned, not bought. No celebrity endorsement could do what this story does for the Disney brand. When a brand is trusted, people pay more, come back for more and tell others. Faisel Rahman, (@FaiselR ) founder and CEO of Fair Finance ( @FairFinance ) trusted that people who borrow money mostly want to pay it back. He created a business model that made it possible for people who are mistrusted by most banks and institutions to trust and be trusted and he has loaned (and had repaid with interest) over £7.8 million and helped over 10,000 people to get out of debt. Trust is a measure of the belief we have in the honesty, fairness and benevolence of another party. 1) Demonstrating experience and credibility and using appropriate language and terminology. Unlike reputation which is based on past experiences, creating trust is about reassuring people about future experiences. 2) Managing expectations with honesty. Making sure that communications are open and transparent ensures that customers know exactly what to expect. 3) Relevance. Don’t try to sell to everyone. Find the people who really need your product or service and show that you understand them. 4) Client centred. Making clients happy becomes the objective of the business. Profit is a KPI of that happiness. 5) Vulnerability. Being authentically you is more important than an appearance of perfection. When we trust and are trusted in return we get a chemical feel good rush, but trust is a complex issue made up of instincts and emotions that we can’t always articulate. It can be further complicated by cognitive biases that cause us to think and act irrationally, all the while believing that we are being utterly rational! This is a list of 58 Cognitive Biases that screw up everything we do! Ann Hawkins is a business growth specialist who supports and inspires business owners to work smart, not hard. If you want to grow your business, contact Ann to have a chat.